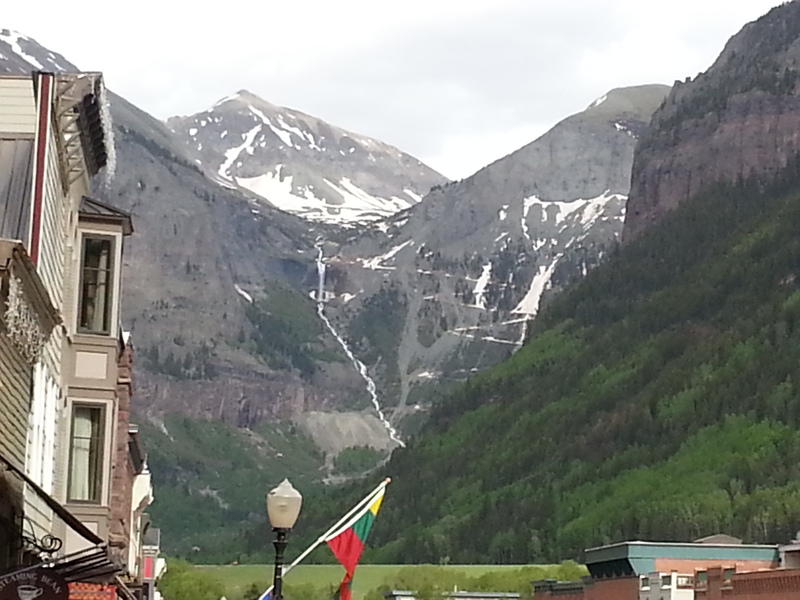 I have never been to Telluride in the summer although I LOVE to ski there in winter! It takes about 4 hours to get to Telluride from Basalt, 4.5 if leaving from Aspen. Going over McClure Pass to Delta is really pretty, taking you through the winery and orchard districts by Paonia and Hotchkiss. 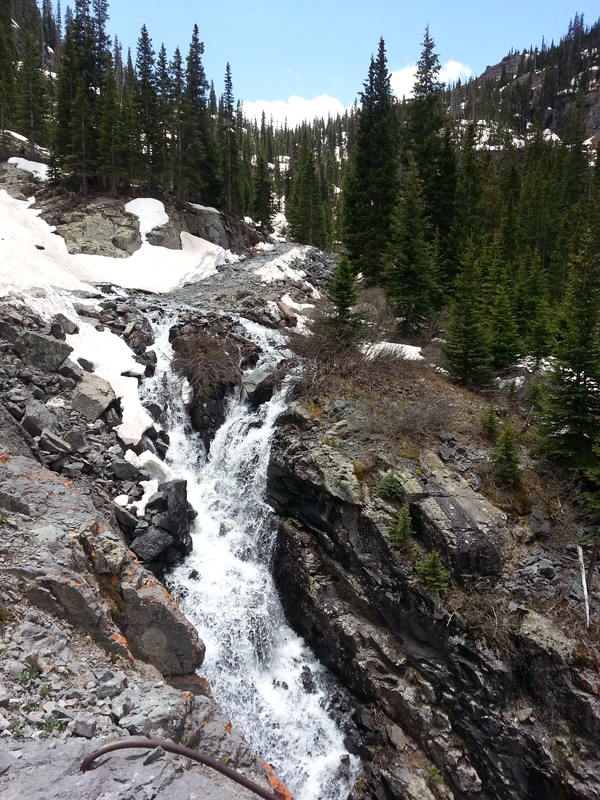 From there to Montrose then Ridgeway then over the Dallas Divide. The San Juans were absolutely spectacular seen from the Divide road….. 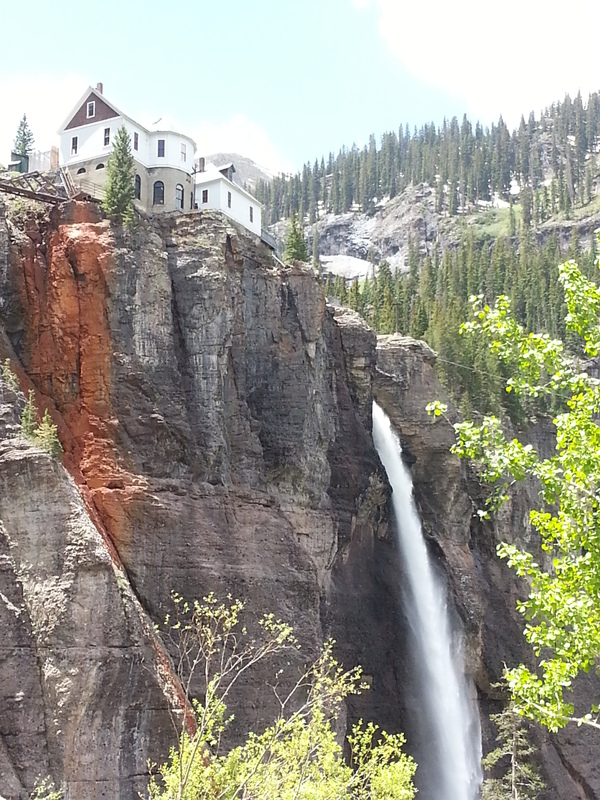 In Telluride the waterfalls were amazing. One huge waterfall at the end of the canyon is perfectly framed by the main street then to the left of that is the Bridal Veil Falls with a hydro plant perched improbably right on the edge. 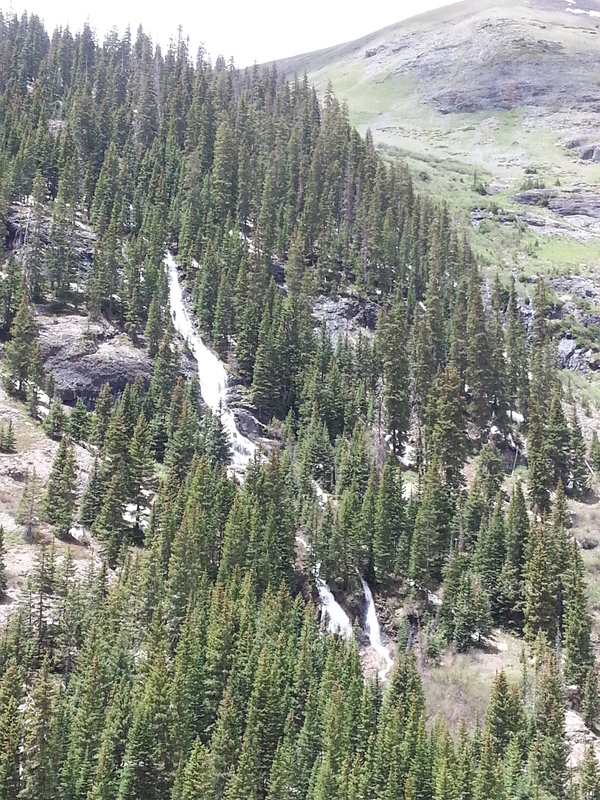 If you drive up to the plant you can keep hiking along the stream for a really long way with lots more waterfalls to see. Just beautiful. This entry was posted in Uncategorized and tagged aspen, Basalt, bridal veil falls, bronwyn anglin, mountains, Telluride, waterfalls. Bookmark the permalink.